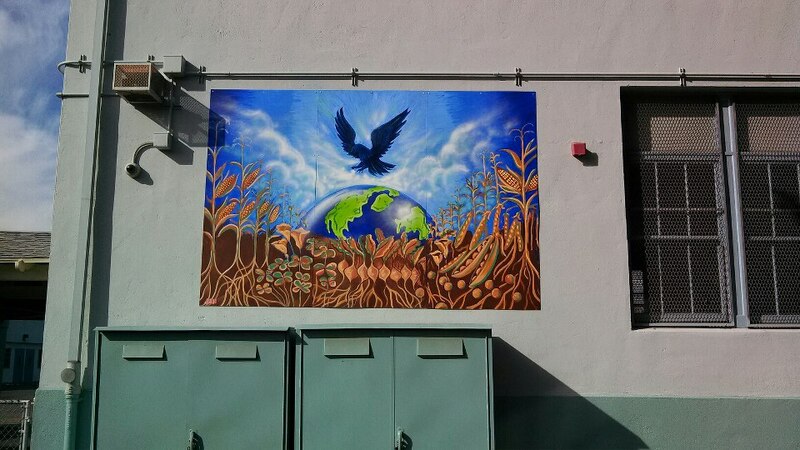 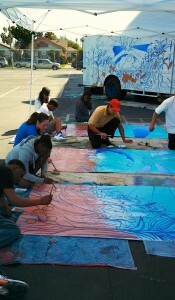 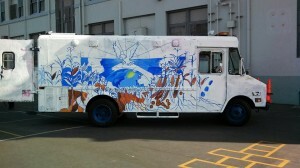 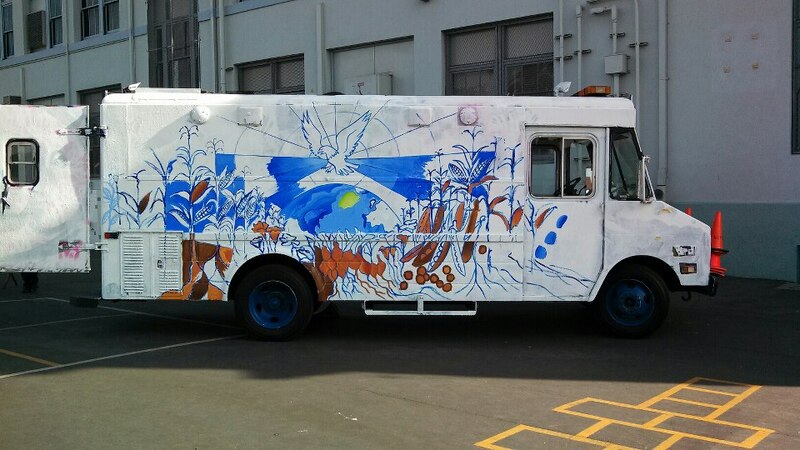 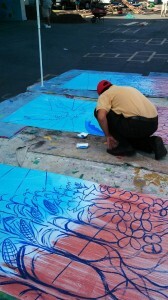 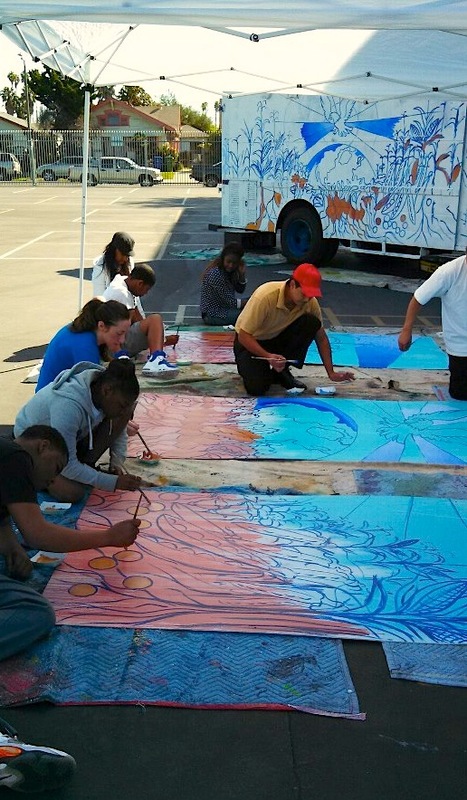 Here’s a look at the scene at LAUSD’s 6th Avenue Elementary during our Permanent Mural Painting Workshop last Saturday! It was a part of the school’s Beautification Day events. 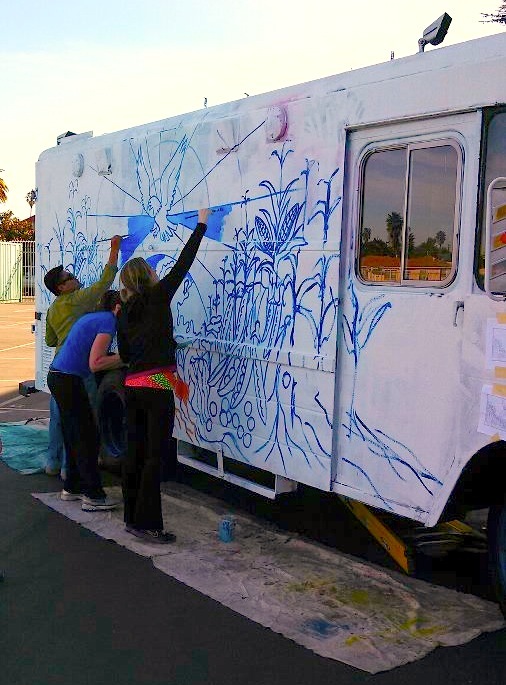 The truck was used as a practice ground before beginning the final piece.